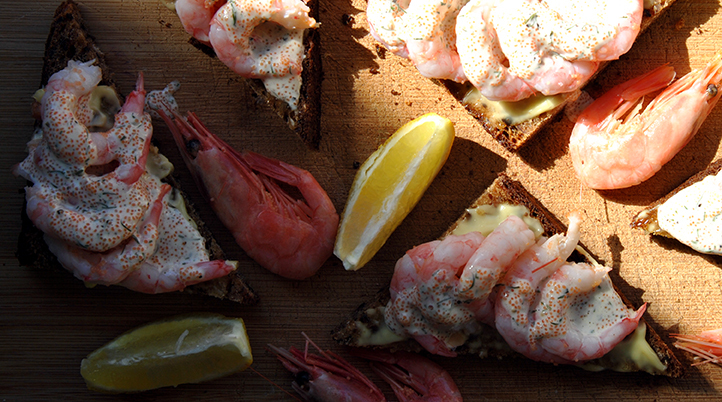 These tasty shrimp toasts make a great picnic snack or a side dish. I used unpeeled shrimp for these, the favor just wouldn’t be the same with the ready-peeled ones. I served these toasts as an appetizer when I had friends over and everyone loved them. This dark toast is called “saaristolaislimppu” – the archipelago bread. It’s a dark and sweet loaf bread and one of my favourite breads. 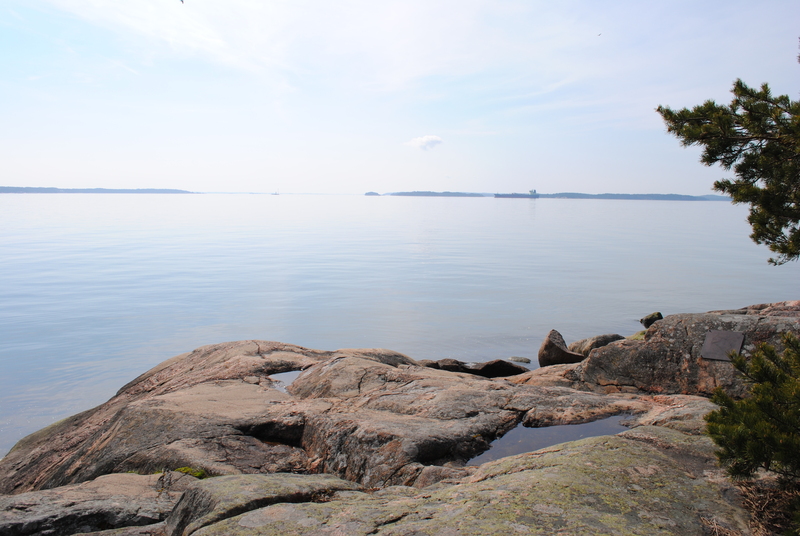 The bread recipe coming from the archipelago, it’s no wonder that seafood goes so marvelously with it. Cut the loaf in 4 layers horizontally. Cut the pieces in half and then diagonally, forming 16 triangular pieces. Peel the shrimp and save the eggs in a cup. Stir in a bit of mayonnaise and pepper, finely chopped (or dried and ground) dill and some drops of lemon juice. Form the breads by adding mayonnaise on the bread, then placing the shrimp on top and coating them with the dressing. Previous post Labor Day Doughnuts!